Colorful Vintage Sewing Machines. Sewing. Fabric. And More. I Am Back and Some Exciting News! Stitch Nerd is back and well rested from a much-needed vacation! 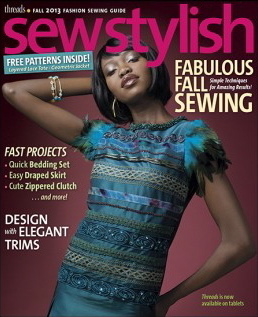 The exciting news is that Stitch Nerd Custom Shop has been included in the Fall 2013 Threads magazine, Sew Stylish! My pressing hams are in the “Cool Tools” page of the magazine and the nice folks at The Taunton Press made my products look amazing! The magazine is available today at your local newsstand. Stitch Nerd Products as seen in these Magazines! 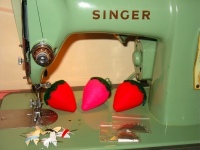 Dear Readers – PLEASE NOTE – I do not provide free sewing machine manuals. If you need a manual for a vintage sewing machine, please click Vintage Sewing Machine Manuals at the top of my blog. If you have a sewing machine manual that you would like to share with other Stitch Nerd readers, I will happily distribute it for you offline, for free. Also, I do not know how much your sewing machine is worth. All I can advise is that if you are looking to sell, list it for the minimum amount you are willing to accept. If you leave a comment or question, you may receive a delayed response as I am currently extremely busy with other projects. Thank you for understanding. Put it in a Ham Holder! Visit Sonia's profile on Pinterest.